Everyone knows that gardening is the ideal way to save money on your grocery budget. However, if you’re not careful, it can become very expensive. From purchasing your seeds or starter plants, to buying the ideal potting soil and fertilizer, you’re sure to run into some unexpected expenses that will quickly break your budget, but, it doesn’t have to be that way. 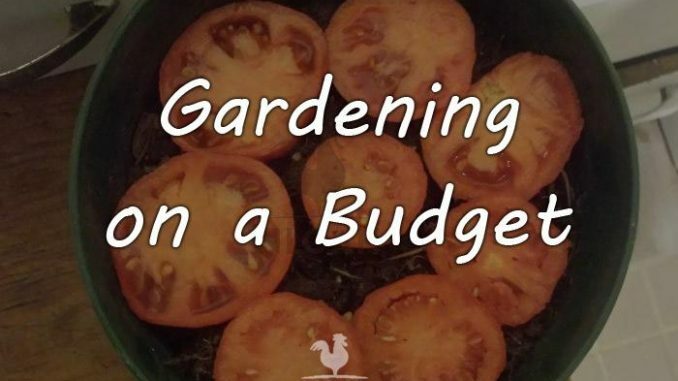 Through some careful planning, you can garden on a budget and save a lot of money. It’s easier than you think. Here are some great ways to save on your seeds, starter plants and more. If you join a gardening club or make some gardening friends, you can share your gardening ideas, seeds and more. Exchange seeds with one another, take cuttings and start new plants. Buy seeds in bulk. Seeds are far less expensive when you buy them in bulk and share them with others. That way, you can share and share alike. Many gardening clubs run community gardens. Here, many in an area will gather to plant vegetables and fruit and work in the garden. It’s a great way to get to know others in your area, have fresh vegetables and get a bit of exercise in your day. 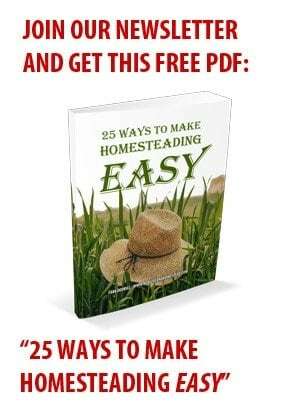 This is also a great way to learn new gardening skills, and many who you’re working with will give you tools that they’re no longer using as well as a wealth of information on gardening on a budget that you can use. Even if there isn’t a gardening club or a community garden near you, you can get to know someone who has a lovely garden and ask questions. Most gardeners love that someone is complimenting them on their garden and are more than happy to answer questions, give starts, and some great suggestions to new gardeners. The only dumb question is the one that isn’t asked so don’t be afraid to ask others gardening questions. Before you go out the garden to plant vegetables, plan ahead. What foods do you want to grow for your family? Make a list. Don’t buy seeds that they won’t eat, choose only foods that they will eat. Plot out your garden ahead of the season and have a plan of what you’re going to plant, and where. This will help you to stay on task and not overbuy your seeds or seedlings. You can also plant smaller areas if you’re the only one that likes a particular vegetable in the garden. Plant a small square plot of something that few like and save larger areas for those vegetables that everyone likes. Sit down with paper and pencil and draw out the plans for your garden. Get everyone involved, this is for the entire family. If one of the kids loves a specific vegetable, give that child a special area all their own where they can be in charge of their favorite vegetable. It’s a great way to involve everyone in the family and it will make work easier if they are also involved. Gardening on a budget can be a family event and you’ll find that the more you work together as a family, the more the homestead comes together. 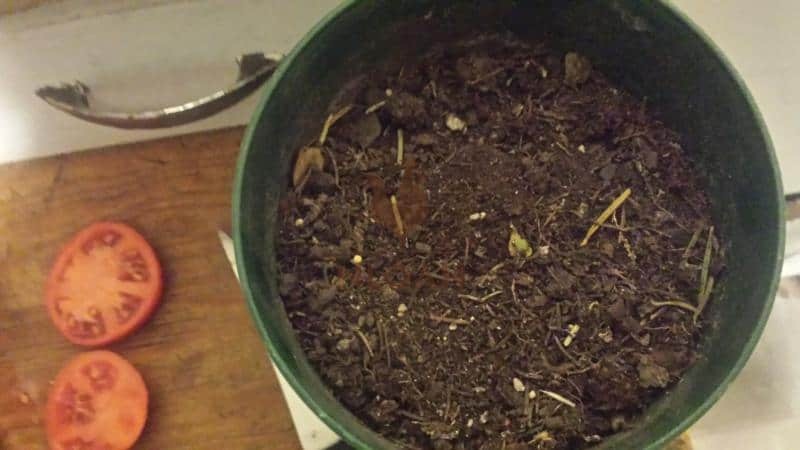 Compost is a great way to give your plants a boost. Keep your garden leftovers, vegetable scraps and coffee grounds and tea bags for your garden. Add in some grass clippings, dried leaves and be sure to mix these well. You can even add in shredded paper, or shredded cardboard. Mix often (at least weekly) and you’ll have a nice compost pile going. As the materials in your compost pile begin to decompose, you’ll have a lovely soil amendment that beats any fertilizer. 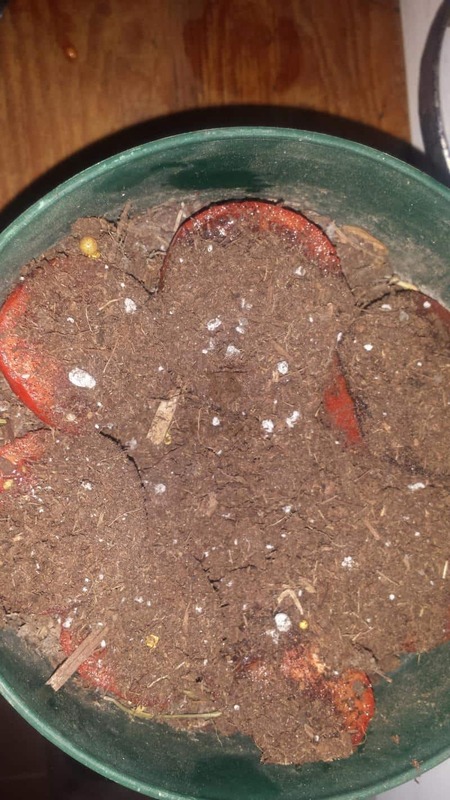 Lightly spread the resulting soil around your plants once or twice per year for a great boost. All of this is free of charge you’ve because you’ve upcycled your vegetable scraps and yard scraps and turned them into a nutritious boost for your garden. This is also a great way to skip out on chemicals that can leech into your vegetables. You can go completely organic when you choose to make your own compost and avoid toxic chemicals to repel bugs and boost your gardens growth. Coffee grounds will add nitrogen, potassium and magnesium to the compost. Tea bags are very similar to coffee grounds and tomatoes love them! Egg shells will add in calcium, place cracked egg shells in a bowl in the kitchen and allow them to dry, then crush them up (my coffee grinder does this well) and add them into the soil (again, tomatoes love them). Grass clippings add in nitrogen. Soak fish guts, scraps in water and use the water on your plants (even houseplants) you can also reuse your aquarium water when you clean an aquarium in the same fashion. If your garden is troubled with pests but you don’t have the funds for pest control, or don’t wish to use chemicals, here are some easy ways to deal with some of the more common pests. Slugs and cut worms don’t like egg shells or salt, put a border around plants that slugs like of either coarse salt or some broken up egg shells. Make sure to check your border often to ensure that there aren’t any breaches. You can also create your own slug traps with a small jar lid and some beer. Pour the beer into the jar lid and the slugs will go to drink it and fall in and die. Ants hate red pepper flakes as do many other pests. Grab some red pepper flakes and sprinkle an area where you have problems with such pests. Ants also hate orange peels, boric acid and garlic. Aphids can be hand picked off of plants or you can make a mild spray with some soap and water to spray undersides of leaves or areas where they are found. Cinnamon and pepper flakes are frequently used for pests that are undetermined. Plant garlic in the area as well. Many pests hate the smell of garlic. You can also try onions, leeks, chives and Thai basil or other strong scented herbs and flowers in the area. Be sure if you’re sprinkling cinnamon or pepper flakes that you check the area frequently as these can wash away with daily watering and rain fall. You’ll have to replace it as required. You don’t have to have any special containers to start seeds. You can use old egg cartons, milk jugs, yogurt containers, cardboard tubes from bathroom tissue or cut down paper towel cardboard tubes, small containers that you’re no longer using elsewhere in the house, paper cups, plastic lids from spray cans and other containers, etc. Be creative and save things that may be useful. Any homesteader knows that the more you recycle the less costly running your homestead is going to be. Just a few items can be reused time and again if you’re creative and take the time to save it where you’ll be able to find it when you need it. Keep in mind that a package of seeds is far less costly than a newly planted seedling. You can also net more plants if you have seeds vs a seedling. Seeds can be planted in old butter containers, egg cartons, milk cartons or jugs (cut to size) and even empty yogurt containers. 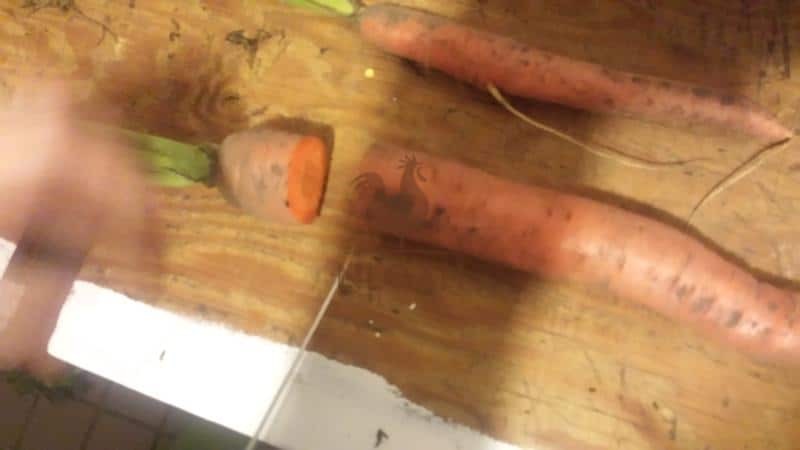 You can even recycle your cardboard bathroom tissue tubes and plant seeds in them and place them directly into the ground when they sprout and have a few leaves as the cardboard will decompose and go back into the soil. If you can’t afford seeds read on for more ways to get free seeds and starts for plants. Another great way to find seeds is to take advantage of vegetables that have made their way to your kitchen that have seeds in them. As long as these vegetables haven’t been cooked, and haven’t been exposed to chemicals, you can save the seeds and plant them next gardening season. You can save any kind of seeds. A few good examples are tomatoes, squash, gourds, potatoes, and the like. Basil can be regrown from a cutting or two. Simply make sure that there are a few leaves on a step and you can start another basil plant in a glass of water. Romaine Lettuce is easy to regrow. Cut the lettuce off of the root end so that there is about 2 inches left of the root. You can either plant this directly in dirt, or stand it in a glass of water. Within a few short days you’ll see the lettuce beginning to grow. Again, in a few short days, you should see some greens beginning to grow from your carrots. Green Onions are easy if you cut them about an inch from the root end. Stand these in a glass of water and watch the green portion regenerate in a few days. Simply snip off what you need for preparing meals. Leeks can also be regrown in this same fashion. Onion works by cutting off the bottom of the onion and allowing it to dry out for a few days. Then place it in some soil and gently cover it with a light covering of soil. Water as needed and you’ll have a new onion growing in short order. 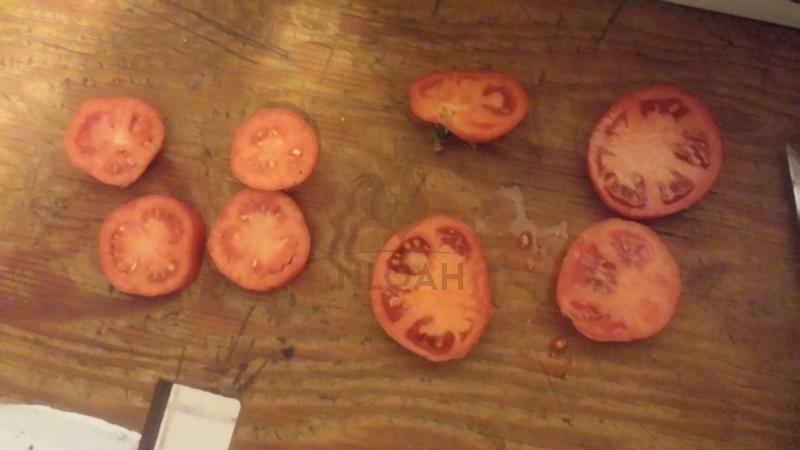 Tomatoes are easy as well. 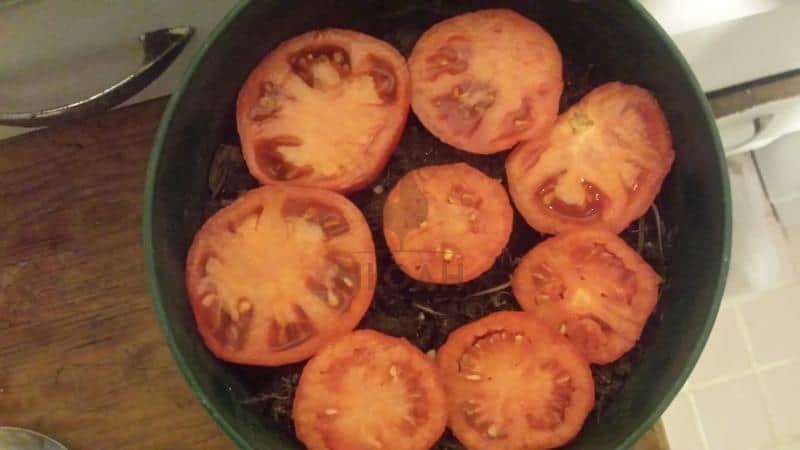 Slice off a piece of the tomato. You want a piece that has some seeds in it. 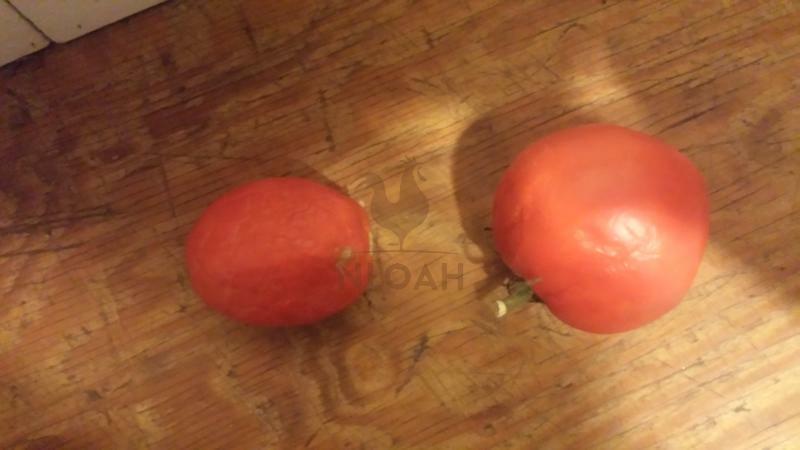 Place this piece of tomato on some soil and allow it to dry out. Cover lightly with soil and water as required. In a few days to a week you should see tomato shoots coming up. You can then transplant these as they grow large enough. Potatoes are an easy one to regrow. If your potato has “eyes” these are the root starters of a new potato plant. You can either cut your potatoes into chunks and plant those chunks (as long as there is at least one eye in the chunk) or you can toss some peelings into a compost pile. You’ll be shocked at how well potatoes grow from these methods, especially if you toss the chunks or peelings into a compost pile! Garlic is easy, each glove sprouts a new garlic. All you have to do is plant the clove of garlic in some soil. This is easiest to do once you already see new green shoots coming off of a clove of garlic. Celery regrows as well. Cut it about an inch from the root end and stand it in some water or plant it in some dirt. 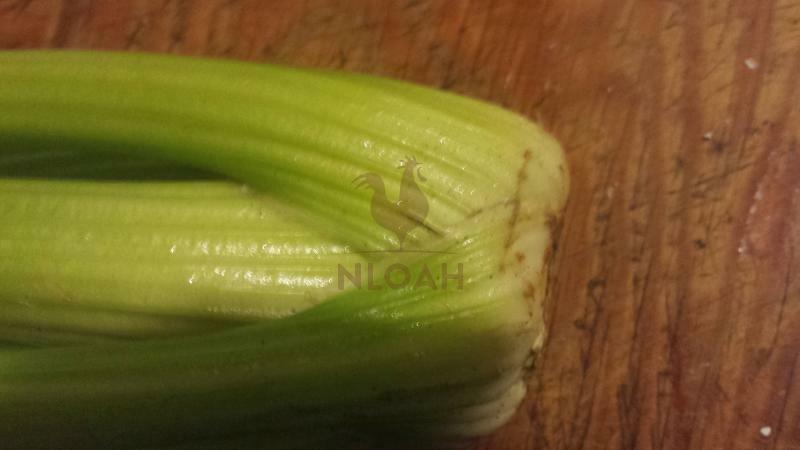 In a few short days you’ll see new shoots coming out of the cut end of the celery. Allow these to grow and snip off what you need. Sweet potatoes work just like potatoes work. Either the peeling or a chunk of sweet potato with an “eye” in it placed into a compost pile and you’re sure to enjoy more sweet potatoes. Lemongrass is easy to regrow. Just stand a few pieces of it in a glass of water and watch it grow. Ginger root works easily if you plant a chunk of it in potting soil. Be sure to place the bud end up. In a few days to a week you’ll have green shoots coming up out of the soil that you can trim off and use. You can also dig up the root, cut it again and repeat so that you have an endless supply of ginger. Rosemary sprigs will regrow if you take the top 3 inches of any sprig of rosemary and place this in a jar of water. Allow the roots to emerge and transplant this into a planter with some potting soil. Pineapple is easy as well. Just cut your pineapple so that the green top is intact. 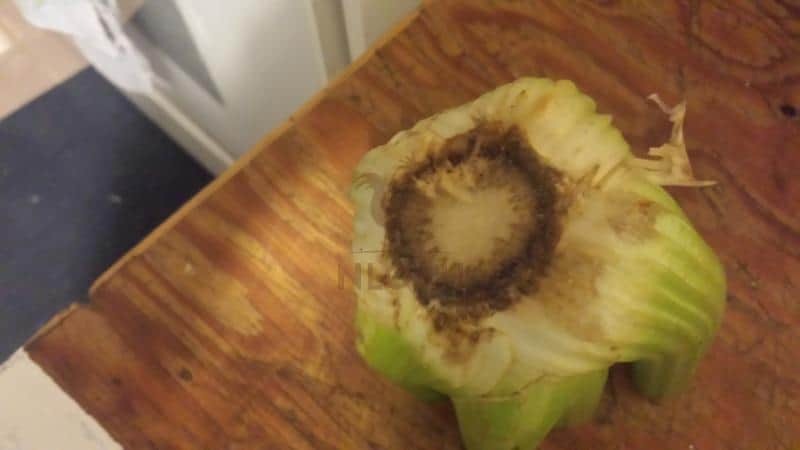 Place this either in a growing medium or a jar of water (make sure the water is touching the bottom of the piece of pineapple, but not covering the green part) and allow to root. Plant in some potting soil and voila! You’ll have a new pineapple tree growing. Avocado save the seed and place it in a glass that allows it to just sit on the water. You may need to put some toothpicks into the seed to hold it in place. The “bottom” of the seed is the fat end so this is the end you want in the water or growing medium. Remember too, you can sprout your store bought dry beans and start plants that way as well. Don’t be afraid to try saving anything, if it works, you’re not out anything and if it doesn’t work, you’re still not out anything and you can eliminate that idea from your list. Clearly, there are many plants that are easy to start from cuttings and seeds that you already have in your kitchen. 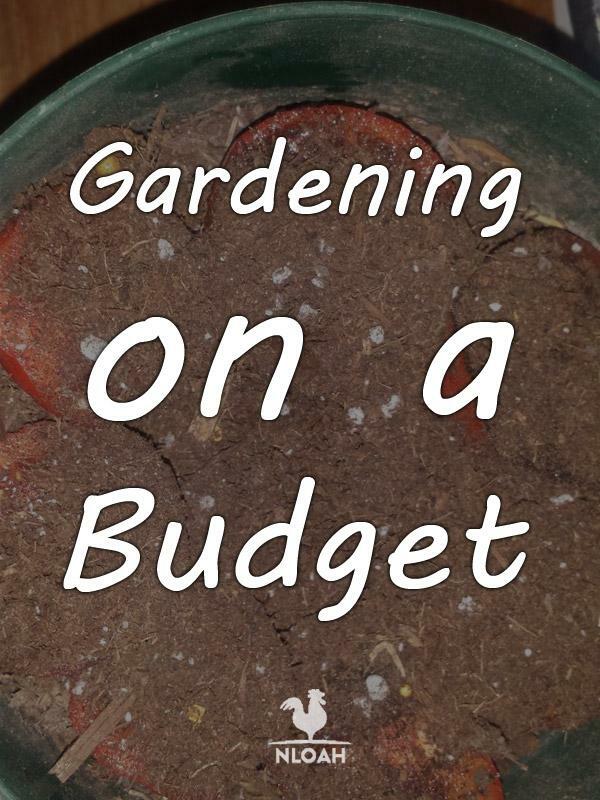 This is a great way to garden on a budget or if you’re flat broke. 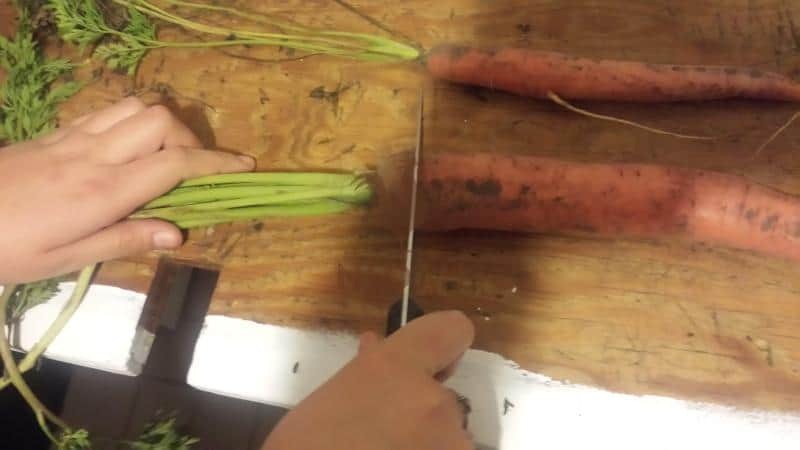 Anyone can do this, it doesn’t take any great gardening skills and you’ll be amazed at the fast and easy results you can get from just a few cuttings or seeds. More than one gardener uses this method and saves a lot of money annually on their gardening budget. Put your money where you need it and take advantage of free seeds and cuttings by reusing what you’re already eating. Instead of relying on your local nursery for your vegetable starts and seeds, be creative. Head to a Farmer’s Market near closing time and glean ideas and free starts from the farmers. How? It’s easy if you simply offer to help them pack their goods up in exchange for a few starts. Get to know a few of the farmers and you’re sure to get some great ideas for gardening, free starts and other great bonuses all for spending a bit of time helping them pack their booth up and get it back to their vehicle. Other ways are to stop as you walk through a neighborhood or drive through it and compliment a lovely garden. Often, you’ll walk away with a few free starts or seeds. Just for admiring their garden and giving them a compliment. Most gardeners are very happy to give you some free starts if you’re complimenting them on their gardens. It never hurts to ask if you can have a start of a unique plant. Just always be sure to ask first. Ask any gardener what their favorite gardening tool is and you’re sure to be shown a different implement by each gardener. For one, it may be a gnarled looking tool that helps them to pull weeds, another might have a favorite trowel or rake. The trick is, keep it simple and focus on your own personal favorite tool. You may find that all you really need is a good hoe and a shovel. If you’re doing some pruning, you may wish to have a good pair of pruning shears. It’s all up to you. Pick your favorites and skip the rest. There’s no need to have 20 different gardening tools. A few basic tools are all you’ll ever need. It is rare that you’ll use some of those fancier tools that you see advertised so spend your money where it counts. If you already have a garden going, or if you have friends with gardens, there are many easy ways to save seeds. You can simply allow peas or beans to dry in the pod and then gently open them and have some seeds for the next year. 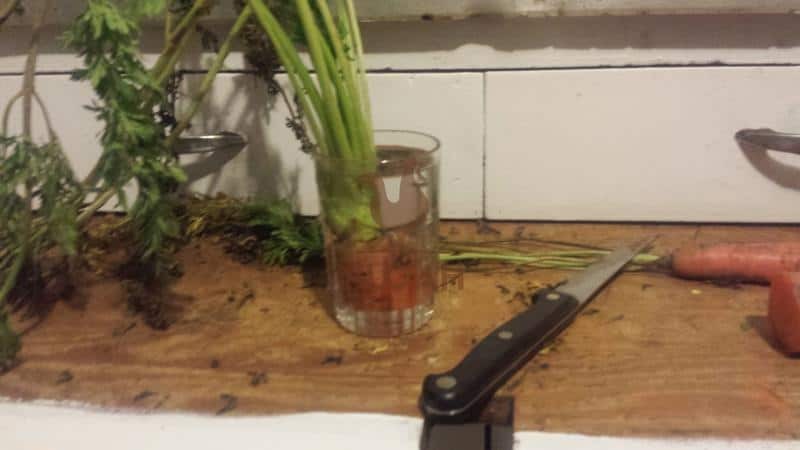 Use the above methods in the kitchen to net more seeds, allow them to dry and save those for the next gardening year as well. 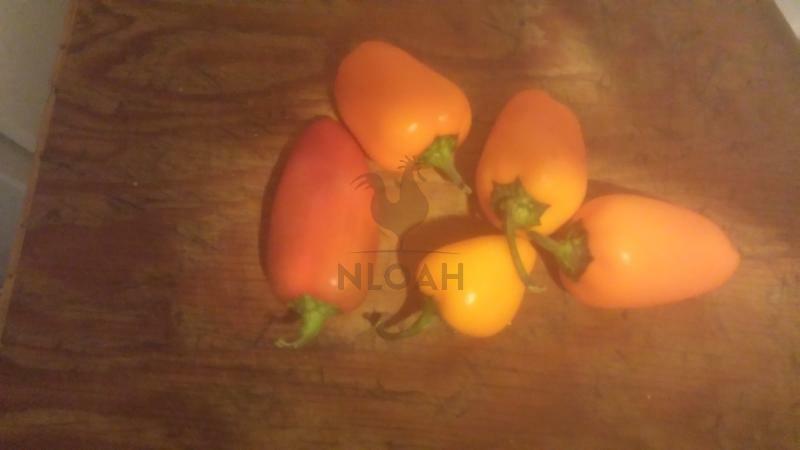 Peppers and other foods that are similar all have seeds in them as well. 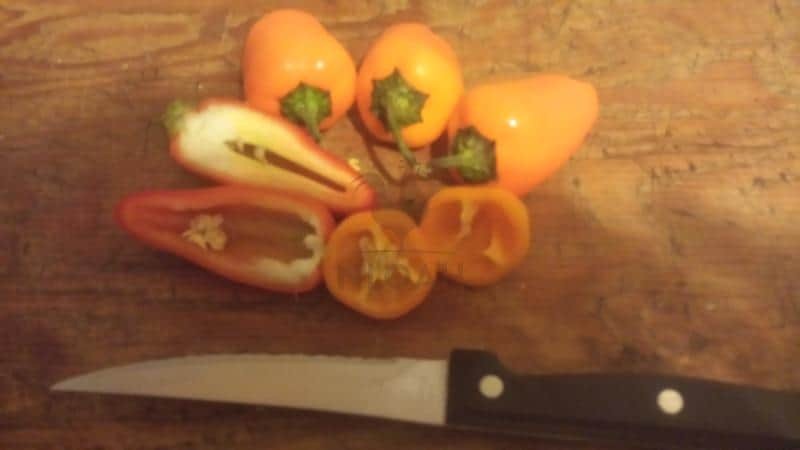 When chopping peppers or other foods, set the seeds aside. Be sure to label them so that you know which seeds you have when it comes time to plant. After the seeds have dried you can either store them in zippered plastic bags or an envelope just label them with an indelible marker and you’ll know what you have come next gardening season. Don’t be afraid to try that old seed package that you found going through grandmas cupboard. You never know when they will still germinate. It’s always worth a try and many stores will sell last years seeds for a fraction of the cost of a new package of seeds. If you have a handful of change you may be able to buy several packages of out dated seeds. Place a few of the seeds in a damp paper towel and check them every few days to see if they’re sprouting. Keep the paper toweling damp. If they sprout allow the sprouts to grow a few inches and then gently place them into a planter and see if you can get a plant. Mix and match the above methods for your homestead and find ways that you can garden on a budget. Once you get the hang of it you’re going to be trying many creative ideas for your budget friendly garden. You’ll be amazed at how many seeds and plants you can come up with using these methods. Caution, it’s habit forming.